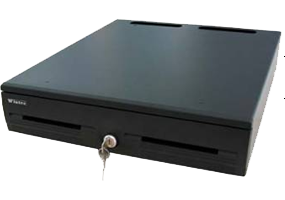 Robust and safe cash drawers with various designs and sizes. Cash drawers support opening by both printer and cash drawer port on POS. Features high quality material to ensure the durability of cash drawer, various models with front rolling or pop-up, can be open by printer or POS, suitable for all POS terminals. Robust and safe cash drawers with various designs and sizes. Cash drawers support opening by both printer and cash drawer port on POS.